The “Youth Talent Showcase” event was a great success! More photos to come. 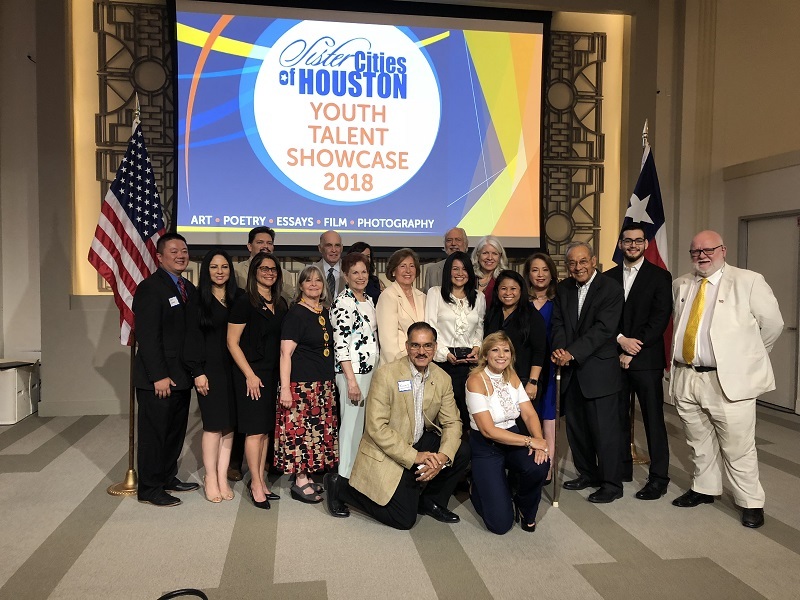 As the Honorary Vice Chairwoman for Sister Cities International, Second Lady Karen Pence participated in a meeting and cultural presentation of the Youth Ambassador Exchange, a program through the Houston, Texas-Chiba Sister City Relationship. Mrs. Pence met with the Mayor of Chiba-city, Toshihito Kumagai, five middle school students from last year’s Youth Ambassador Exchange program, and the teacher who served as the chaperone for the exchange program. 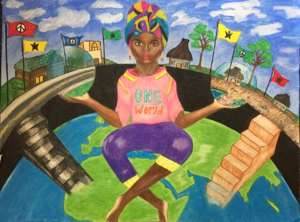 The annual Houston-Chiba Sister City Youth Ambassador Program is considered to be one of the most important elements of the sister city relationship. In alternating years, middle school students, along with a chaperone, visit their counterpart’s city. The meeting opened with Mayor Kumagai offering greetings from Chiba-city, Japan and Mrs. Pence offering greetings from the United States. The meeting included a presentation by the five Japanese students who participated in the Youth Ambassador Exchange program. 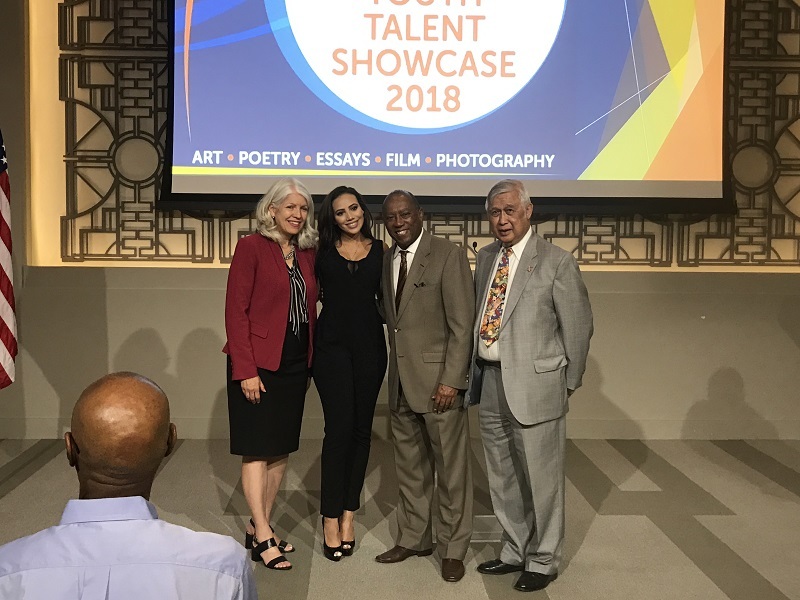 Mrs. Pence learned about the students’ visit to Houston last year where they met with city officials, attended classes at a Houston middle school, and toured local sights. Through the stories shared, Mrs. Pence gained an understanding of what it is was like for the students to experience home and school life in a culture different from their own. After participation in the sister city presentation, Mrs. Pence visted the Hama-rikyu Gardens in Tokyo. She was joined by Mrs. Chikako Aso, wife of Japanese Deputy Prime Minister Taro Aso. Together, they enjoyed the beautiful views of the gardens. Following the tour, the Second Lady met with Mrs. Akie Abe, wife of Japanese Prime Minister Shinzo Abe. On Thursday, Mrs. Pence will visit the Airman and Family Readiness Center at Yokota Air Base where she will meet with military spouses. To stay updated on Mrs. Pence’s events, follow her on Twitter at, @SecondLady. The Houston, Texas—Chiba City, Japan sister city relationship was established in 1972. The Japan External Trade Organization (JETRO) invited to Japan a Houston delegation. The delegation approached the Japan Municipal League for International Friendship to ask about partnering with a Japanese city. Houston and Chiba City identified a number of shared interests and characteristics, for example, both are important port cities with strong industrial bases. After consideration and their respective municipal approvals, on October 24, 1972, the cities executed a sister-city agreement. September 19, 2017 – Sister Cities of Houston Meeting with Mayor Turner and the Taipei Economic and Cultural Office for Hurricane Harvey Check Presentation. 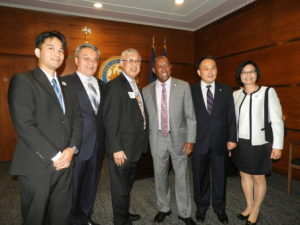 On Tuesday, September 19, 2017, Sister Cities of Houston President Harry Gee, Taipei Economic and Cultural Office Director Mr. and Mrs. Louis Huang and staff, along with Houston-Taipei Society President Daniel Chen and HTS member Jackson Chang, met at Houston Mayor, Sylvester Turner’s office to present a donation to the Hurricane Harvey relief efforts. Click thumbnails for full size image. July 5, 2017 – Congratulations 2017 Young Artists Showcase Finalist Brigite Nikizaq! Congratulations to Nikizaq Brigite of Houston, Texas. 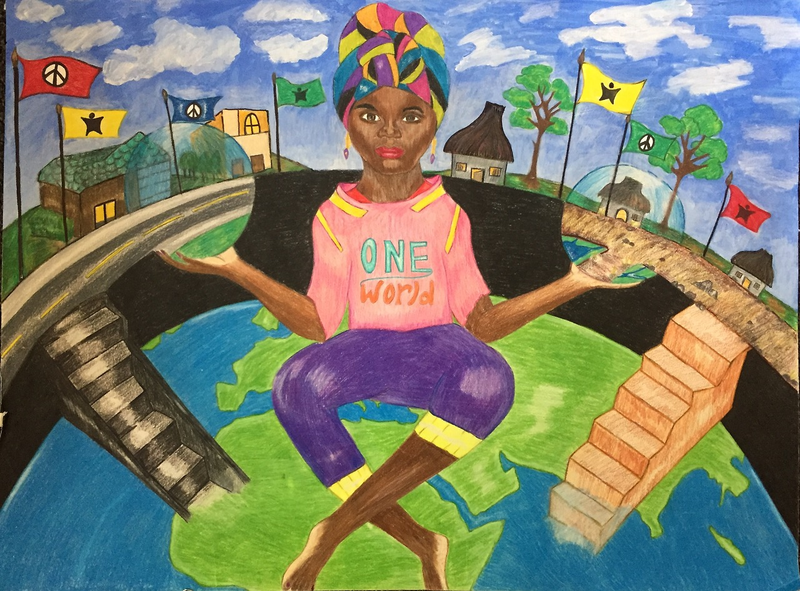 Nikizaq is one of this year’s 2017 Sister Cities International Young Artist and Authors Showcase finalists with her “United by One World” artwork below. Click the thumbnail for a full size photo, and click here for the full press release, congratulations again Nikizaq!